Welcome to Longmont Suzuki Strings! Longmont Suzuki Strings is dedicated to bringing music into every child's life with love, humor and commitment through the Suzuki approach to music education. 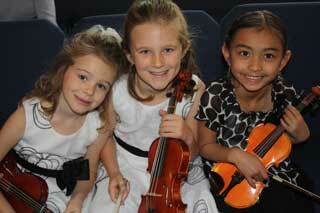 We offer private and group lessons for violinists and violists, ages 3 and up. We serve the communities on the Front Range of Colorado including Longmont, Loveland, Berthoud, Erie, Greeley, Fort Collins, and Estes Park. Longmont Suzuki Strings currently has 60 students and is growing rapidly. Our program offers a variety of group and solo performances throughout the year, as well as workshops for students and parents. To enroll in our program, please inquire with our coordinator, Erron Lacy, or contact an individual teacher.